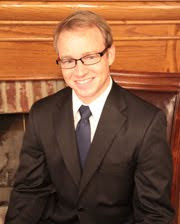 C. Michael Daily is a business law attorney with the long-established law firm of Daily & Woods, P.L.L.C. and is licensed to practice business law in Arkansas, Oklahoma, North Dakota and Wyoming. C. Michael Daily can be contacted by telephone at 479-242-3953, by email at mdaily@dailywoods.com, or by regular post at 58 South 6th Street, Fort Smith, Arkansas 72902.